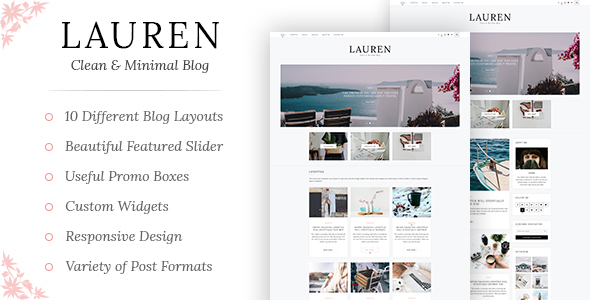 Lauren – Clean & minimal blog! Easy installation allows you to start post blogs immediately after the activation. Theme supported Customizer which allows you to customize and change design of your blog. Perfect choice for your personal blog, corporate blog, marketing blog, authority blog or any type of creative blog. Customer satisfaction is our top priority; don’t hesitate to contact us using the contact form on our profile page or danny.wpthemes@gmail.com if you require any assistance. Will try to reply within 24 hour.